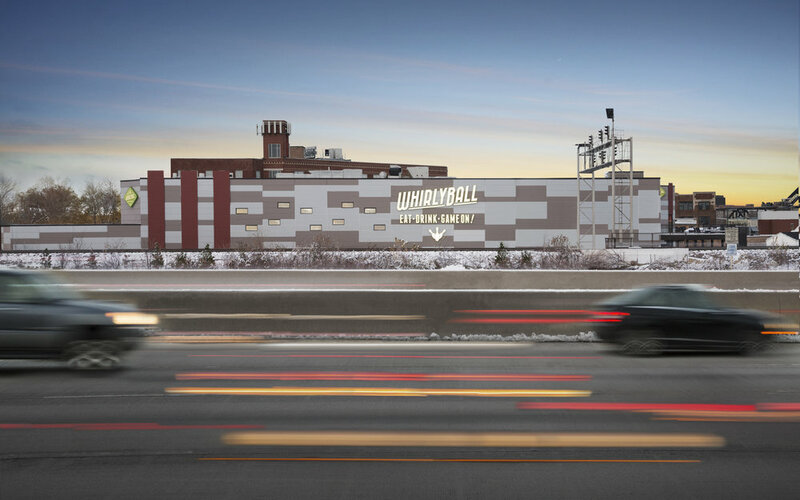 Working closely with Whirlyball, OKW designed a new facility for its Chicago location. 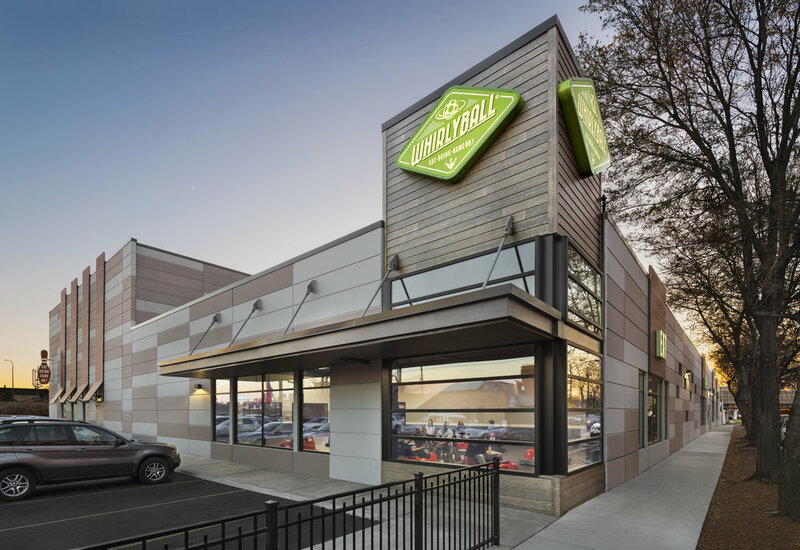 In relocating from their existing space WhirlyBall was looking to upgrade and expand upon a successful local business. 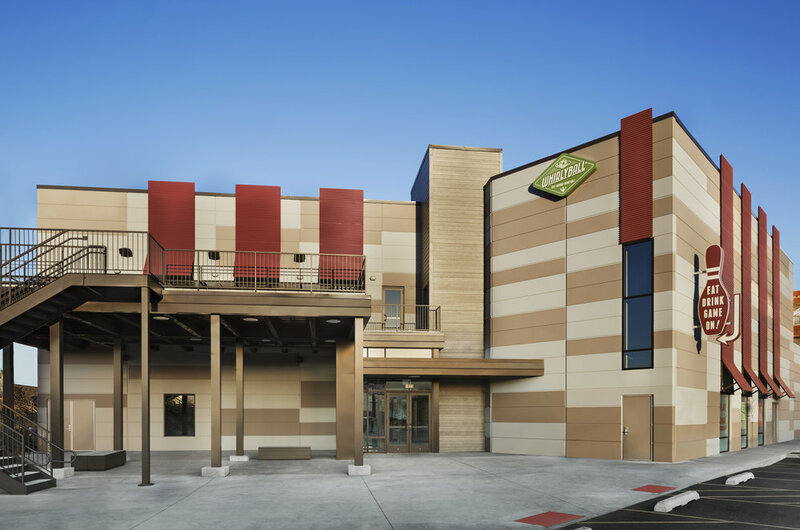 The new 55,000 square foot building houses, not only updated Whirlyball courts, but also incorporates: bowling, laser tag, restaurant and bar functions, and a banquet facility. Designed on a tight site in the Bucktown neighborhood, OKW took advantage of the location to address both the adjacent expressway, its residentially scaled neighborhood, and the great city views. The design uses common building materials in an uncommon design, illustrating the action of the site, in and around the building. An outdoor patio space takes advantage of the city views, tying together indoor and outdoor entertainment.